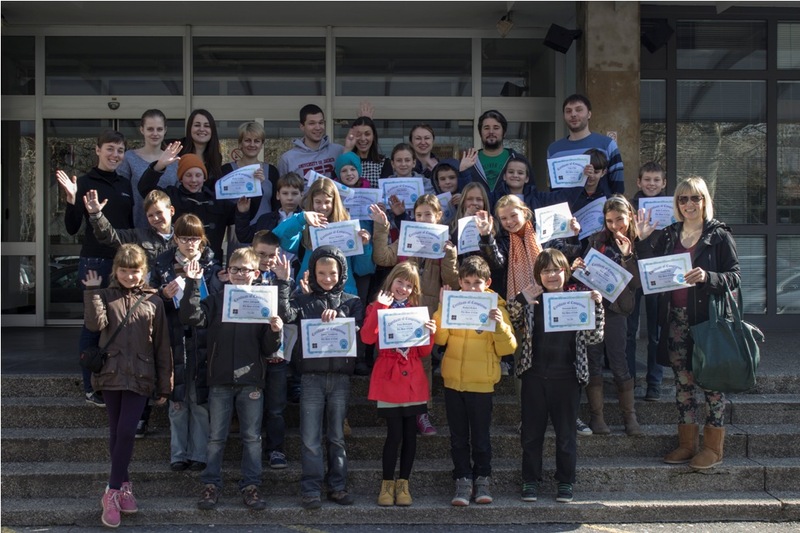 On Thursday, February 27th 2014, 23 students from the third grade of Pavlek Miškina elementary school visited Faculty of Electrical Engineering and Computing, accompanied by their teacher Ivana Fak. During their visit, the students had the opportunity to visit ACROSS centre and participate in an interactive programming workshop, where most of them wrote their first programs. 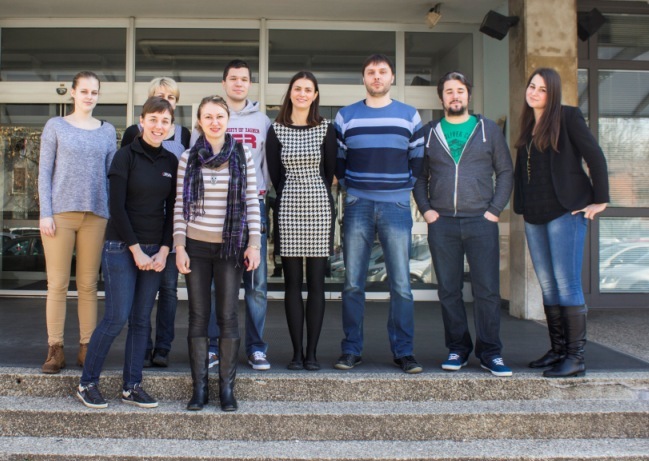 This visit took place as a part of the Faculty's programme for popularization of science named "From school to science and academia" (Šuza - iz škole u znanost i akademsku zajednicu), which the Faculty conductsin cooperation with student association eSTUDENT and Croatian section of IEEE. More about this visit can be found in the detailed news content. Upon their arrival, students went to the ACROSS centre, where they had the opportunity to see robotics research equipment, including different mobile platforms, manipulators, flying and humanoid robots. After demonstrations, students got the opportunity to control some of the robots themselves. Students particularly liked NAO humanoid robots, with one of the robots challenging some of the students in a game of tic-tac-toe. Demonstrations in the ACROSS centre were prepared by Igor Cvišić and Frano Petric from the Department of control and computer engineering. After the visit to ACROSS centre, students took part in a programming workshop prepared by Tomislav Jagušt. Along with Tomislav, nine other people were involved in helping young students to write their first programs. Workshop was based on the Hour of Code workshop, which was held last year during the Computer Science Education Week. Students learned to program through Angry Birds and Light Bot online tutorials, receiving certificate for successful completion of the workshop. This event was photographed by Danijel Peček, eSTUDENT member.